Going into this film I had no idea what it was about, it hadn't really been promoted over here in the UK. I found this worked in my favour as a viewer, sometimes the less you know, the better. Writer and Director Nacho Vigalondo gave us a great modern concept with this feature, it definitely resonated with the present day, especially with the intrusiveness that the modern day celebrity deals with these days. I loved Vigalondo's writing for this film, He's highly imaginative and ambitious. He doesn't hold back and once the film get's going (which doesn't take long), it's a non-stop thrill ride. If I had to compare it to any film I would say it was reminiscent of Hitchcock's 1954 classic feature "Rear Window" which is no bad thing at all, he definitely channels Hitchcock' style and modernises it. 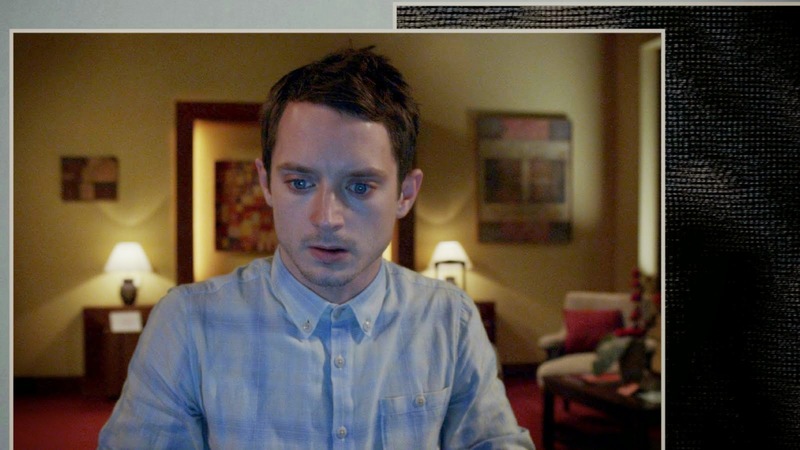 The cast is fantastic, Elijah Wood is an already established actor but Sasha Grey I was unfamiliar with and was actually quite shocked when I looked up her past credits on IMDB. She does play the role well and definitely has a future in this genre. 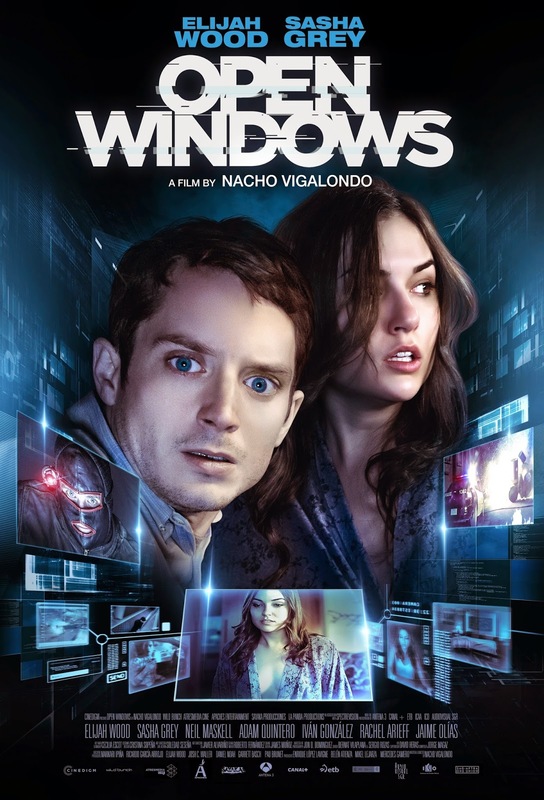 "Open Windows" isn't going to win everyone over but I highly enjoyed it and think it's definitely worth a viewing.